Matthias Kretzler was born in Bruchsal, Germany close to Heidelberg. He received his medical training at the University of Heidelberg, Germany; Newcastle upon the Tyne in the U.K.; and at the University of Michigan. Taking full advantage of Germany's medical training system, Matthias enrolled in an MD/PhD structured program working Wilhelm Kriz's Anatomy and Cell Biology research team on the mechanism of glomerular filtration barrier failure. He expanded his research efforts to modern molecular biology tools during a post-doctoral fellowship with Josie Briggs, MD, Juergen Schnermann, MD, and Larry Holzman, MD and the University of Michigan. After returning to Germany he built, under the mentorship of Detlef Schlondorff, MD, a molecular nephrology laboratory at the Medizinische Poliklinik in Munich. Using the unique research team network around the European Renal Cell Study Group, he initiated what is now a worldwide network of kidney research centers to define molecular mechanism of renal disease in humans. For this personalized medicine approach to nephrology he found an ideal environment at his old alma mater - the University of Michigan - and is now embedded in the fascinating collaborative network of molecular biologists, clinician-scientists, mathematicians, bioinformaticians, and systems analysts at work in Ann Arbor. 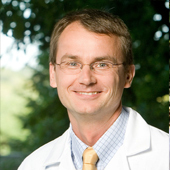 Dr. Kretzler is a Professor of Internal Medicine/Nephrology and Computational Medicine and Bioinformatics. He is PI of the U54 Nephrotic Syndrome Research Network (NEPTUNE) in the Rare Disease Clinical Research Network II, Director of the Applied Systems Biology Core in the O’Brien Renal Center at UMichigan. He has ten years of experience in integration of bioinformatics, molecular and clinical approaches in more than 100 collaborative studies on gene expression analysis of renal disease. He has a strong tract record on interdisciplinary data integration of large-scale data sets. He has assembled collaboration with numerous leading consortia in nephrology, using datasets and samples from the CRIC, FIND, GoKind, CKDgen and SLEGENE consortia. He has initiated the European renal cDNA bank, the largest biobank of renal tissues for molecular analysis (>2500 biopsies). He focuses with his research team on the analysis of molecular mechanism of glomerular failure with a special focus on integrating responses to oxidative stress across species, tissues and diseases. Using integrated biology approaches he defines transcriptional networks in human glomerular diseases and integrates them with complex clinical data sets and other large-scale data sets. The NEPTUNE network offers the unique opportunity to analyze a prospective cohort of glomerular disease patients with high resolution clinical and molecular phenotyping. An international multi-disciplinary research team will enable large scale data integration across the genotype-phenotype continuum of glomerular failure with carefully monitored environmental exposures, genetic predispositions, epigenetic markers, transcriptional networks, proteomic profiles, metabolic fingerprints, digital histological biopsy archive and prospective clinical disease characterization.